In recognition of Reserves Day (8 September), we're looking back at some of the people who've joined us from the Armed Forces, the skills they've learnt and what they've brought to the company. Former RAF Regiment Gunner and Military Guard, Rob Tarn, is one of those enjoying a career switch, having first joined Bovis Homes as an assistant site manager in 2014. Rob joined the RAF Regiment in 2004 and spent the majority of his time there in the Queens Colour Squadron, serving on operational tours of Iraq and Afghanistan and providing protection to ground troops and deterring enemy movement or attacks on camp. Rob explained: "I was based in Kabul and led a team responsible for escorting VIPs, and also spent time on board helicopters manning weaponry in case of attack. "I decided to leave the military, but after a few years went back and joined the Military Provost Guard Service, which is a branch of the Army. It was a non-deployable role and the shift patterns allowed me to spend more time with my family and settle down. My aim was to use the new routine to study and move into my real area of interest; construction. After some hard work gaining extra qualifications I got my break with this role at Bovis Homes." Rob, who lives in south Staffordshire with his wife Helen and four-year-old son Bobby, recently moved into a new Health and Safety Advisor role with the company, working across Bovis Homes' Northern and West Midlands regions. Rob is able to call on plenty of experience in his new role, having served as a manual handling instructor and safety representative for his section while in the Armed Forces. And Rob believes it is these skills that made a move into Health and Safety a natural one. He said: "A large part of my work here involves identifying potential hazards and risks and making plans to ensure they do not become a reality. In the military, a career path which is naturally associated with danger, identifying hazardous situations and creating strategies to resolve them is an innate skill, so I think this serves me well in this role. I actually enjoy being in difficult situations and learning how to overcome them." "Any role in the construction industry requires you to keep calm under pressure, be disciplined and punctual, and have strong organisational skills and the ability to prioritise tasks," explained Rob. "The basic 'man management' and communication skills I learnt as a Junior Non Commissioned Officer have also served me well." "The job itself is extremely fast-paced and the daily routine involves driving forward our Health and Safety objectives across the region ensuring that everyone, including Bovis Homes Employees, contractors and customers are safely and complying with regulations when on our sites. 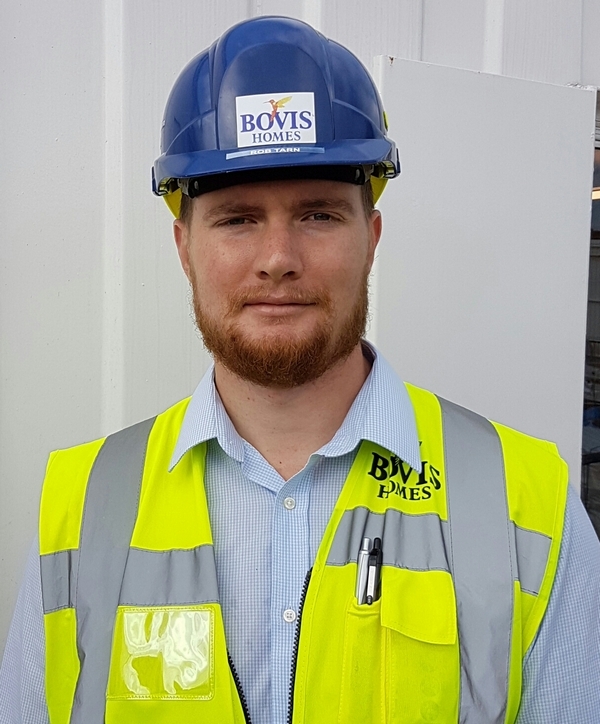 "The training I am receiving is equipping me for a great career with Bovis Homes," he said "Things look extremely bright and positive for my future, I'm very happy where I am and on a personal level I am enjoying the home-life and work-life balance which I have never been able to achieve before."